Next Level Construction is a small company that strives for perfection on all levels. Whether it's building a house from the ground up, or remodeling a room in your home, we take the time to do it right. Our company works very hard to make each of our client's visions come true and to ensure the work meets their expectations. Our company was built on the premise of respecting family values. As such, families and homeowners are treated as an extension of that family. This enables Next Level Construction to strive towards excellence for the company, the homeowners, and our community. Next Level Construction employs a dedicated and ambitious team, excelling in various aspects of construction including custom tile, carpentry, drywall, framing, painting, stone work, wood floors, windows, and just about everything in between. We work alongside top notch sub-contractors in plumbing, electrical, glass, concrete, and landscape, who will help deliver the high quality finishes that you have been searching for. Our fundamental belief is that the final product for your home should be one that we would place in our own. By trusting Next Level Construction with your project you are not just hiring a contractor, you are investing in an expert with the skill, vision, and resources to make your dream a reality now and in the future. For Lake Forest Park residential home builders who also act as developers, the job starts well before the first nail is driven. They perform local market research to determine whether the prospective homesites make sense in the Lake Forest Park, WA market, as well as survey the land on which the house will be built to make sure it is suitable for construction. Custom builders also obtain the necessary permits. 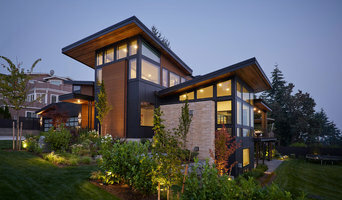 A good custom home builder in Lake Forest Park, WA has skills that go far beyond construction — he or she must supervise subcontractors and artisans; keep tabs on local zoning regulations, building codes and other legalities; inspect work for problems along the way; and perform dozens of other roles that are essential in building a quality house. Here are some related professionals and vendors to complement the work of home builders: Interior Designers & Decorators, Landscape Architects & Landscape Designers, Architects & Building Designers, Kitchen & Bath Designers, Specialty Contractors. House builders are responsible for ensuring that the home-building project sticks as closely as possible to the specified timetable, particularly in the event of change orders. 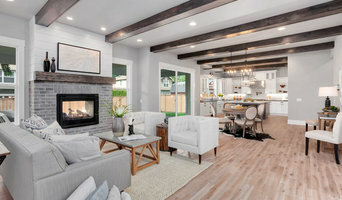 Custom and luxury home builders in Lake Forest Park, WA also need interpersonal skills to deal with clients of all types, soothe frazzled nerves, negotiate conflicts and resolve problems. 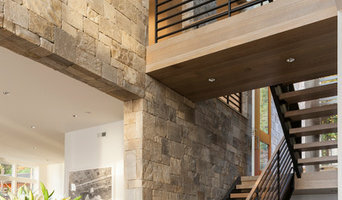 Find custom home builders in Lake Forest Park, WA on Houzz. 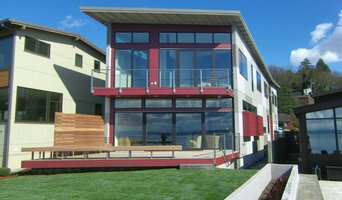 Narrow your search in the Professionals section of the website to Lake Forest Park, WA home builders. You can also look through Lake Forest Park, WA photos to find a house you like, then contact the builder who worked on it.